A man who doesn't need an introduction, Ansel Adams is likely the most famous landscape photographer in history. Not only did he shape the world of landscape photography, he brought the beauty of U.S. national parks to the masses and inspired many people for decades to come. It's a concept that seems almost impossible to fathom in today's world considering we have access to images from nearly everywhere at all times. Imagine if you could go somewhere and take photos of a place the majority of the world has yet to see or what it would be like to experience seeing those places for the first time again. Where would his work fall in today's societal expectations and constant bombardment of perfect landscapes? The actual answer is impossible to truly find but hypothetically the results are quite eye opening. 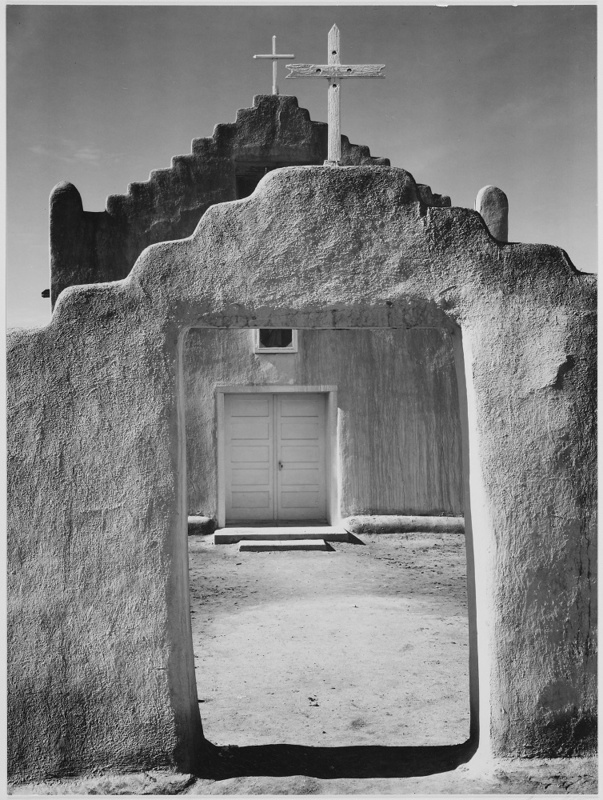 Front view of entrance, "Church, Taos Pueblo National Historic Landmark, New Mexico, 1942"
In the world of social media there are more than a dozen tips and tricks you can follow in the hopes of grabbing new followers. Let's take a look at how Adams would fare in today's world. Black and white feeds are typically much harder to grow. Many of his photos are landscape oriented which results in less engagement. Many photos would be considered "snapshots" as their true beauty has to be seen in print. Lacks engagement with followers because he's too busy taking more photos. He's one of a handful of people posting content. He's possibly the only person posting outdoor photography. No one has ever seen these places before. People want an escape from the great depression and war times. Who else even has a camera, let alone knows how to use it? Judging by these lists we could assume Adams wouldn't do very well in today's social media game but if it hypothetically existed in his era he would flourish. So what's the take away here? To me this image explains everything. Remember that every image he took was deliberate. Requiring film to be loaded, exposure to be calculated, long setup times; no image was a snapshot. Yet to us this looks like a snapshot but back then it was a modern marvel. 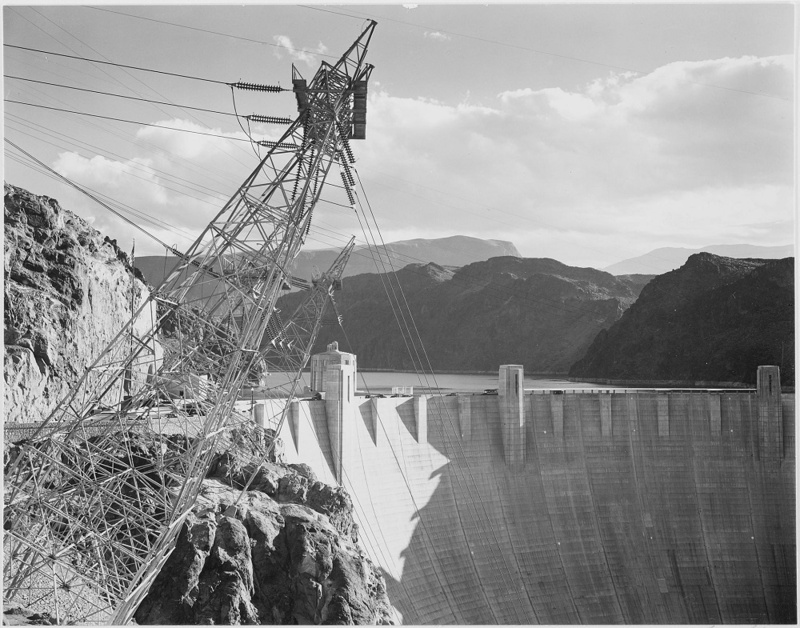 Taken at the Hoover Dam which had recently been finished, Adams has quite a few images of the transmission and power systems surrounding the area. These are the types of things I would Photoshop out of my images or never even point my camera at. It is fascinating to think that what brought wonder and awe back then is now something we try to keep out of our images today. Adams' feed would be filled with images we wouldn't even notice yet in his era they would make headlines. I write quite a bit about social media and one of the biggest common themes in the comments is questioning if any of it matters. Does gaining followers actually matter? The long answer is complicated but overall I'd say no unless that's what you truly want. As a photographer you have to decide if you want to take photos and share them or if you want to gain followers and shoot content to do so. Otherwise you'll fall in an endless trap of wondering why an image you cherish didn't get the reception you expected, or you put too much value in your work based on your growth socially. I've been in that pit and it's not easy to get out. So if you're ever questioning your work because of social media just think about the fact that Adams wouldn't do too well today either and his work is timeless. Maybe it's time we stop focusing on what will gain more "likes" and more on what will become timeless for years to come. What do you think? All images by Ansel Adams, used under public domain. Ansel hired a publicist, and as a related article from this very website points out, used advertising to promote his work - he was an artist but he also knew how to make his work seen in the media of the time. Had it been otherwise, he would not be the household name he has been for decades and remains to this day, nor would this discussion surround Ansel Adams but rather another photographer who had both talent but also the ability to play the games of the time. I'd love to see other work of the national parks from that time period. Eadweard Muybridge (of running horse and other studies of movement fame) has some early landscapes from Yosemite, among other locations among his work. Sadly I can't help point toward much else from that time, although I'm sure there were others besides Ansel, who probably was the greatest of them but was certainly the best at getting his work seen. So he'd probably be using bots and buying followers. Hahaha. It's a double edge sword though because in the same way it's very possible I'd never know many of these places existed either. Ansel wasn't "just" a photographer, he was an environmental activist. And that's as issue even more popular today--maybe even the most popular/important one. He'd have millions of followers, would be flying around in private jets, raising millions or billions, and would be even more well-known that he is as things stand. What type of people concern themselves with how many followers they have? I wonder. Scary to think the addiction to social media likes and followers has become so prevalent in our society that it is now classified as a legitimate psychological disorder. It's all about acceptance. We all want others to recognize our efforts...but really..."How many followers would Ansel Adams have"? Is this a competition? He would care less. Which leads to my original query.....'what type of people concern themselves with how many followers they have'? Certainly professionals should have no need.... I know I don't and I've been doing this for over 45 years. Too many people are caught up in this 'appearance' thing these days. I guess I am just looking at this from a social/psychological view as I have a Master's in Social Psychology. I should stop doing this. It's like Peter Gabriel sang: "I need to be needed, I love to be loved." I read an article not too long ago about the effects of social media addiction on the brain, and I have to admit it made me think about my daily usage. Studies show that seeing those likes and follows creates a wide range of activity in the brain that is akin to a highly pleasurable "winning" experience. When you don't get the likes and follows that you think you should, it encourages depression and anxiety (that "less than" feeling). When taken away, it fires off the same areas of the brain that are active during drug detox. The problem with all of this is we naturally begin to compare our "success" on social media with the success of others. For example, I look at my instagram account vs Elia Locardi. Automatically, I feel like I'm just a nonprofessional schmuck with a camera because there's no way I could get 125k followers. Since I can't get the followers, it's obvious my work isn't good enough. The depression kicks in, and I become addicted to getting one more like with each pic posted. Yes I understand. Before I retired I NEVER went on social media or made any comments on articles. I have only done so recently and only a little anyway. I need to get out and do more shooting. Just waiting for better weather....and my wife's approval - another story. I certainly struggle from these exact same things. I totally fee you. It’s partially why I wrote this article! A little reminder to focus on other things likely matter more. I don't recall saying anything is wrong with it. Which then leads to another tidbit....why do some people take the wrong inference from a statement. So what were you implying then? Perhaps what I should have said was....Why is there a need for such a question? I mean...how many people have asked you that question? No one's ever asked me and don't think about such things. Why....all of a sudden is this type of question popping up? Popularity contest? Sure you could simplify it into a popularity contest but the simple fact is people make their entire living off of posting to Instagram. But if they are doing that, are they a photographer or an influencer? No...really. Read the title of the article. 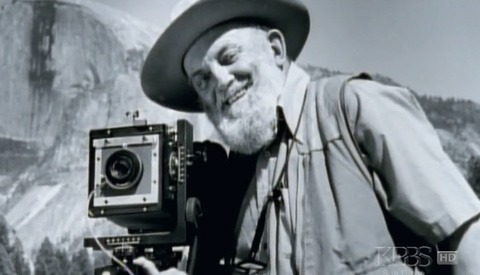 Why is it neccessary to know how many followers Ansel Adams would have today? That's all I mean. Who cares? He surely wouldn't. As for your answer...yes they rely on it for their living. On Instagram. As for if they are a photographer or an influencer...they will have to answer that. My point was why is the author asking such a question? This was more of a thought provoking article than it was intended to be interpreted literally. I don’t think anyone actually cares if he’d have 1 follower or a million. For me it’s more about the curiosity or hypothetical and what I can learn from my own curiosity. Yes I agree with that. More of a mundane, curiosity sort of view. I guess I am looking too seriously at things these days. I have a Master's in Social Psychology and looked at it in that vein. Being a disabled veteran now retired...I need to focus more. I maybe should not read any more or less into things. I never used to comment on things before. Perhaps I should get out and shoot more photos. I think it is critical to remember that it is likely Ansel Adams, if he were alive today, would be walking around with a medium format and shooting in color. His work would look completely different. Adams was a master of using the technology of his era to its utmost potential. I have no doubt he would have pursued the same if he was alive today. 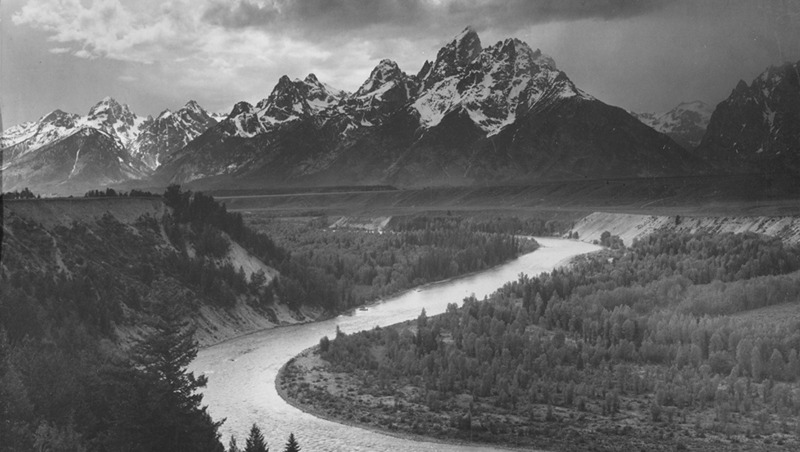 Ansel Adams' work is the total opposite of digital photography and Instagram. He'd probably hate it. Agreed. He definitely took polaroids. He consulted for them. I'm sure he'd be excited about the technology. I don't think he would have strayed from the darkroom if he was around today. I have a feeling he wouldn't be very popular at all, actually. His work isn't "Instagram popular". If you don't adopt a fairly limited aesthetic and composition style, your work tends to fall through the cracks and never get noticed. Some of the most amazing photographers I know don't even have that many followers. And then you have "insert generic backpacker influencer here" with hundreds of thousands if not millions of followers, posting the same stuff we have seen hundreds of times with the same presets and centered compositions. It is aesthetically pleasing for the IG format, but when I see prints of their photos, it just looks odd, because the instagram style doesn't translate to print quite as well. Crushed blacks and faded looks just don't quite hold up in print, compared to a well-graded image with a greater dynamic range. Instagram isn't really about the quality of the work, it isn't for photographers. It's for all things trendy. Which is totally fine. But I really wish we could find a platform that is catered to photographers and photography, with quality over quantity. To be honest, the Fstoppers community here has some incredible work. I find myself looking through the community posts more and more often now. If Fstoppers had their own app for posting and rating images, I would be ALL OVER IT. He was blessed enough to live in a time without social media, why on earth do you want to associate him with those pieces of sh*t that social media are?! If, woulda, coulda, shoulda..... This article is totally out of context. You really can’t compare the times. 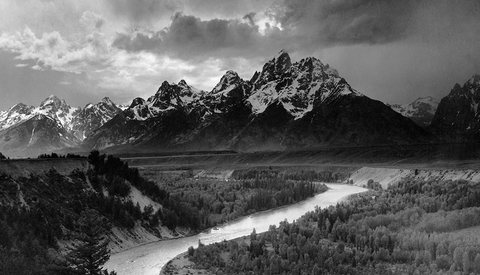 Ansel Adams was the first photographer that knew how to consistently make a full tone image. What you call a snap shot was cutting edge technology in 1934. In fact, full tone panchromatic film had just been invented. Moreover, chemical developers were still experimental. Digital photography in my opinion has actually degraded quality to an extent because the ease of use enables photographers to transmit a lot of substandard work and cliches. In addition, many photographers pushing out jpegs on social media are incapable of making a quality print. If you want to place Adams in this contact, you have to extend your imagination. Specifically, imagine image making that has not yet been invented; once you wrap your mind around that, you can begin to see where Ansel would fit. From the the 1930s to the end of his life, he was at the cutting edge. I don’t disagree with anything you said. I tried to touch on that in a much more simplified form when I said “these images need to be seen in print.” To compare what he was doing from now to then is nearly impossible. I think it’s possible I didn’t drive home the conceptual idea and thought provoking nature that I intended with the article. It wasn’t meant to be taken literally. But that’s something I can learn from for next time. Thanks for the comment!